A bespoke database can often solve the problems that no off-the-shelf package can; it is designed for your company and your needs, using the terms and language your staff are used to. Our experts can create bespoke SQL database development solutions, at your office or the cloud, that can help your staff work the way you want them to. We can re-create and modernise legacy database systems and turn over-used complex spreadsheets into effective databases. Our team of experienced XML and SQL database developers will guide you through the entire transfer process and will work closely with you to ensure that your new bespoke database is as comprehensive as it is easy to navigate. Databases enable businesses to process, organise, manage and manipulate complex data. An intelligent, centralised database creates business advantage and improves efficiency, helping to maximise profits. 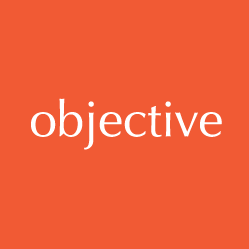 Objective IT is a leading bespoke database development company in Essex. Objective IT specialises in delivering SQL database development services that are tailored to the needs of your business. Objective IT’s database development team in Essex can adapt your existing database or develop a brand new database. We can develop a SQL database that offers excellent value to your business through its ability to organise your data effectively. We can help eradicate repetitive re-keying to improve efficiency in-house. By streamlining the import and export of information into a central data hub, the amount of time your staff put into keeping your data up to date will reduce time, costs and save resource. Our specialist database development team can help you maximise your profits, provide staff with more real-time information and ensure you deliver better customer service. Once your bespoke database has been developed, all of your information will be centrally stored. This will allow your staff to access data with ease, you will also be able to set different levels of access to the database and give your business the ability to quickly make sense of complex data. Our database development team can put an end to your staff having to tediously check for duplications of data, updating information in several systems and other such processes. We create efficient databases that will provide users with accurate information – our databases will automatically check for duplications and connect the right people with the right information, as and when they request it. A bespoke database from Objective IT will save you time, money and resources, as well as allowing for a greater understanding of your organisation. The use of consistent, up to date reports will allow you to make the right decisions at the right time, and steer your business in the right direction. Investing in custom database development can raise the profile of your organisation and unlock the door to new customers, giving you the competitive edge required to overtake the competition. We use standard tools in our development work. We are experienced in utilising Microsoft Access, Microsoft Excel, Microsoft SharePoint, Microsoft SharePoint Web Parts, Web Service, Microsoft SQL Server, Microsoft .NET including VB.Net, ASP.Net and C#.net.